The Bear Creek Inn is a Colonial style home on spacious grounds with gardens and fruit trees. 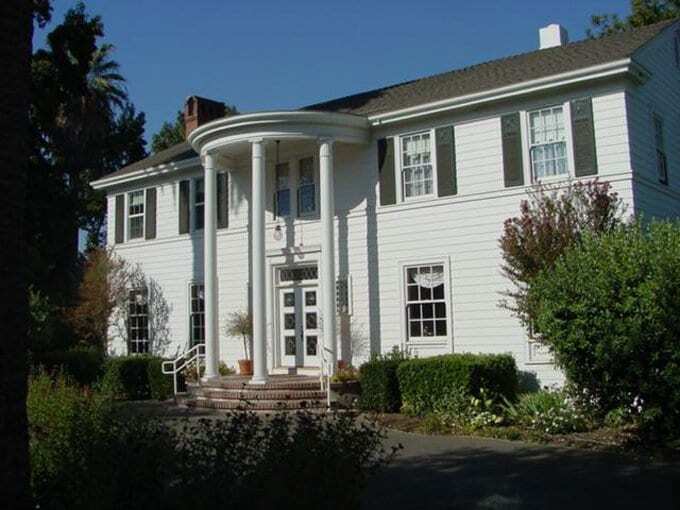 This Merced residence has been historically known as The White House. The main house has three suites with private baths, feather beds with down comforters. The Cottage is detached from the main house, complete with a kitchen and living room, king feather bed with down comforter. We also have a handicapped accessible unit called the Buggy House. A memorable breakfast is served daily in the dining room. Serving the leisure and business guest.